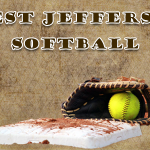 The varsity softball scrimmage will be played @ Hilliard Davidson HS this evening. Start time is 5:15PM. The high school softball banquet will be May 24th, 2018. The banquet will begin at 6:00 PM. The softball team will play @ Pickerington North HS on May 15th vs Bishop Ready. The baseball team will play @ Grove City HS on May 15th vs Elgin. Cost for tickets will be $7 per person at both locations. No league passes or golden buckeye cards will be accepted. The varsity softball team will play Bishop Ready on May 15th, 2018. The game will be played at Pickerington North High School beginning @ 5:00pm. Girls Varsity Softball · Apr 30 Congratulations Breanna! 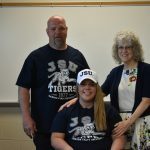 Congratulations to Breanna Oldaker for signing her letter of intent to play softball at Jackson State University!